One more tech-filled event from the Apple’s basket took place at Howard Gilman Opera House in New York City, to divulge the brand new MacBook Air, an updated Mac Mini, new iPads, and, a big reveal of software. You couldn’t catch what all exactly was shared and discussed during the Apple October Event? 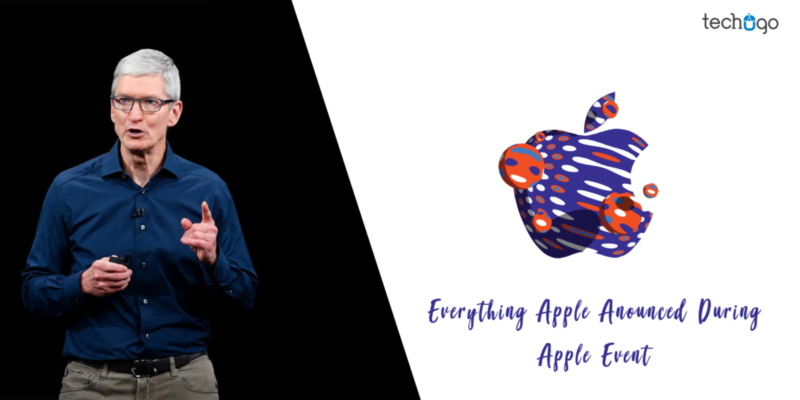 Then you don’t need to worry anymore because with this blog post you take a look at the latest announcements made from Apple. Apple event helped us to chase the dreams with its new invention of futuristic portable computers with a super-powerful redesigned iPad Pro, refreshing MacBook Air, and Mac Mini. It was a mix of the fresh and innovative approach of trending technology through the gadgets which have received the beautiful new design and new usability features. The Apple event started with the unveiling of Retina MacBook Air, which is the revolutionary device from Apple. It is the first-ever device from Apple which is designed from the recycled aluminum, making it the greenest Mac ever. It is a perfect mix of quality and creativity and is ready to make you fall in love with Mac. 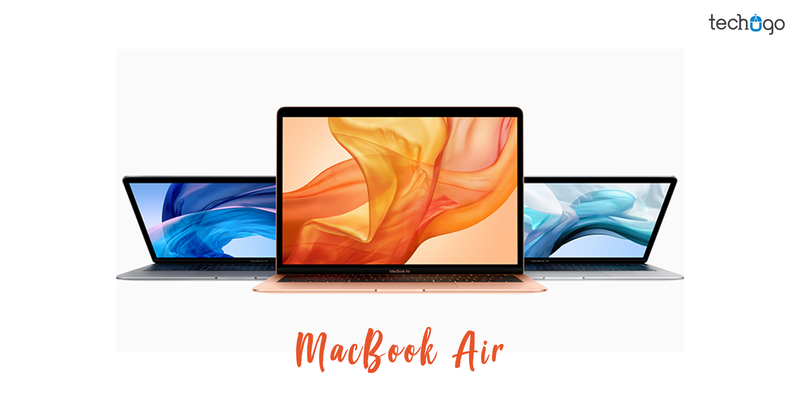 It is available in silver, space grey and gold, and is the new thinnest and lighter MacBook Air, which features the brilliant Retina display, Touch ID, the latest-generation keyboard and a Force Touch trackpad. Mac now contains 4X more pixels as an HD display, which makes the images to look more realistic and detailed. Further, it helps to read the text so clearly, which gives a feel of reading a printed document. The display glass of Mac broader has grown wider, as the borders are 50 percent thinner than before. Now MacBook Air has the advanced security and convenience of Touch ID, which lets the users place their fingers on the Touch ID sensor to unlock the Mac, further users can utilize the fingerprint to immediately access locked documents, notes and system settings, without entering a password. The hardware of MacBook Air has Apple T2 Security Chip. Also, the on-the-fly data encryption keeps the data stored on the SSD automatically and fully encrypted. Within the keyboard, the butterfly mechanism is utilized to offer four times more key stability than a traditional scissor mechanism. The Force Touch trackpad creates the valuable interaction with Mac by making subtle differences in pressure. It weighs only 1.25 kilograms and has the eighth-generation Intel Core i5 processor, which helps you power through daily activities, from reading email and browsing the web to creating Keynote presentations and editing in iMovie. It has up to 16GB of memory and 1.5TB of SSD storage, which lets you launch apps in microseconds and save your document with an ease. The battery life of MacBook Air is up to 12 hours and the latest in processing and tuning techniques, MacBook Air sounds a perfect option. Also, the stereo speakers deliver twice the bass and 25 percent more volume. The camera quality is high-definition FaceTime, helping you to see the loved ones with a sharp detail. The Retina MacBook Air may start at $1199. Calling Mac mini a simply powerful device is not a wrong choice. 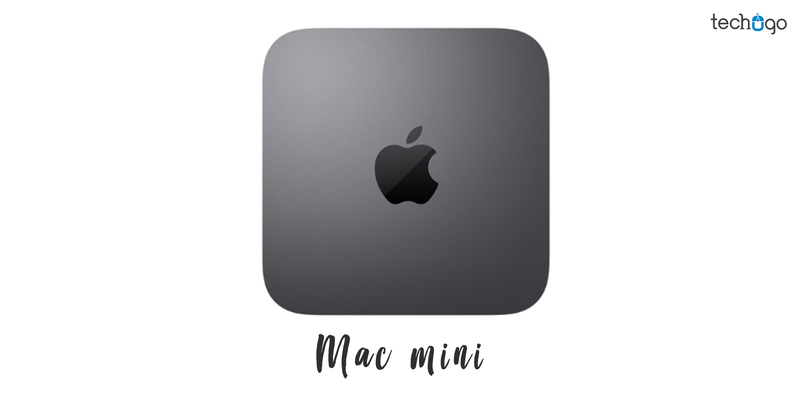 However, after a long period, a well-new Mac mini is introduced which is powered with a quad-core CPU, while Apple also offers six-core models for the first time. As far as the performance of Mac mini is concerned, then it has the high-performance 2666MHz DDR4 SO-DIMM memory for fastest rendering, which can work with a huge number of files or can run multiple virtual machines. The memory storage is up to 64 GB to help you carry the heavier workloads effectively. The connectivity of Mac mini contains gigabit Ethernet, four Thunderbolt 3 ports, an HDMI port, and USB-A. It also features the Apple T2 Security Chip — second-generation custom Mac silicon designed by Apple, which is designed to make Mac mini even more secure. It further includes all-flash PCIe-based storage, which can read speed 4X faster, letting you load giant files and launch apps faster than ever before. Due to the size, performance and wide array of ports, Mac mini has crossed the excellence to a new level. Also, there is much more to be experienced with Mac mini now. However, the physical design of the device is similar to its last version, except the new space gray color option. The cost for Mac mini may start at $799 and can be built-to-order at the highest end with 64GB of RAM, a 4.6GHz 6-core i7 CPU, a 2 TB SSD, and 10 Gigabit Ethernet at the customization cost of around $4200. Evidently, it was the iPad Pro, which captured the limelight and became the center of attraction for the event. Because iPad Pro, received the changes in a massive number, turning it into a small computer for all. 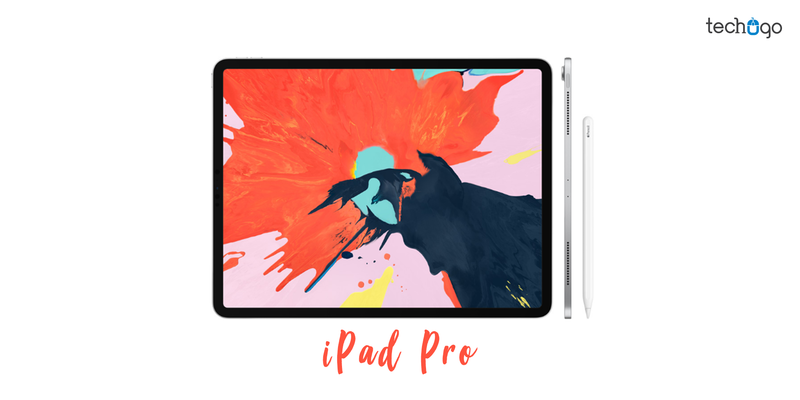 The screen design has turned more powerful and is packed now with the most advanced technology, helping you to utilize technology through new iPad Pro. With this newly designed iPad Pro, you can experience the most trending, intuitive gestures, while making the accessibility a lot simpler than ever before. With just a swipe up, users can access the Home page in a jiffy of seconds. The new Liquid Retina display is now available from edge to edge; it is not just True-to-life color but also holds the ProMotion technology, that turns everything splendid and much responsive. Another exciting feature of new iPad Pro is the Face ID, which is specially engineered to secure the unlocking and indeed works seamlessly in the portrait or landscape vision. It is the world’s most secure facial authentication available in the tablet. As far as its hardware is concerned, then it is integrated with the A12X Bionic chip, which is not just smart but powerful as well. It holds the Neural Engine, which can hold the 5 trillion operations per second efficiently. It is said to be faster than any PC or laptop, as it can carry out the multitasking with just a few swipes, whether you have to make a FaceTime call, or work on a creative project, message with a friend or explore web, everything can be performed within same time, with a mere swipe made on the device. The integration of A12X Bionic makes the graphics two times faster and transform your iPad Pro a perfect machine for augmented reality. With the new iPad Pros, you will get the full-screen design with flat edges and rounded corners, Face ID support, with a new size of 11-inch and 12.9-inch coupled with last 10.5-inch model. Also, the new Smart Keyboard Folio, helps you attain a great typing experience and elegant front and back protection. Further iPad Pro is equipped with two great cameras. Smart HDR. A 12-megapixel camera for capturing photos, 4K video, document scanning, and AR experiences. True Depth camera, which is perfect for Portrait selfies, FaceTime, Animoji, and Memoji. It weighs only 468 grams and can be connected fast Wi-Fi and 4G LTE with 10 hours long battery support. These new iPad Pros are only 5.9mm thin, which is 1mm thinner than the last version. It also holds a new USB-C port at the bottom, it is built on 7-nanometer technology which is responsible for 35 percent improvement in CPU performance. The new iPad Pro 11-inch may start at $799, while the 12.9-inch may start at $999. The introduction of all-new Apple Pencil is really a magnificent journey, as it responds to human touch. A double tap can quickly change brushes or switch to the eraser, without interrupting your creativity flow. Apple also unveiled a couple of hardware announcements, like iOS 12.1, tvOS 12.1, and macOS 10.14.1 and watchOS 5.1 was also released. Needless to say, the new inventions from Apple are just refining the technology and creativity to a new level. However the availability of these devices is still not mentioned, but undeniably, sooner these devices would be introduced, would definitely mark a difference in the tech world and would change the fate of development strategies practiced by a leading top mobile app development company in india. Keep watching this space for tech-filled information to come your way.